This game's polygon rendering is messed up in the current code of PCem. 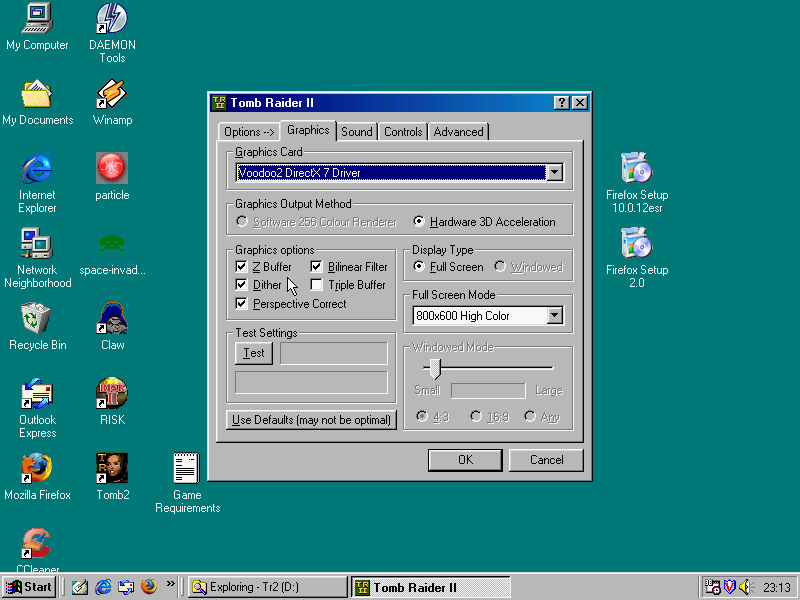 Done in all PCI-based machines under win98se with voodoo2 dx7 driver. The polygon textures change as the character walks (which shouldn't happen), the game was running under win98se using a voodoo2 dx7 driver, in any Pentium machine and using the dynarec (both cpu and voodoo). gd5434 video card with 4mb of memory. It's not a PCem bug. 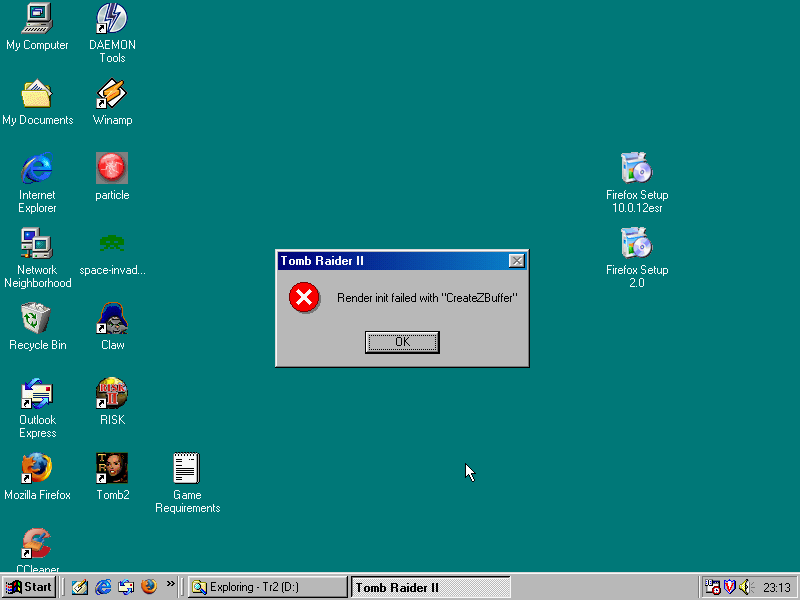 Why do I always get this error when I try to open the game with Z-buffer? You can't do 800x600 with Z on a 2mb framebuffer. Up that to 4mb.